New Delhi, April 8: India has once again turned down an official invite from the neighbouring country China to attend the Belt and Road Initiative (BRI) Forum meeting scheduled to take place this month, reported the Times of India sources. India boycotted the first BRI Forum in 2017 after protesting the controversial China-Pakistan Economic Corridor (CPEC) which is being laid through the PoK (Pakistan-occupied Kashmir) overriding New Delhi's sovereignty concerns. China is considering that India will review its decision and participate in the forum, as evident from the principal summit between Prime Minister Narendra Modi and President Xi Jinping in April last year. The invitation for participation was delivered to the Ministry of External Affairs (MEA) by Chinese officials but India responded by restating its concerns over CPEC. 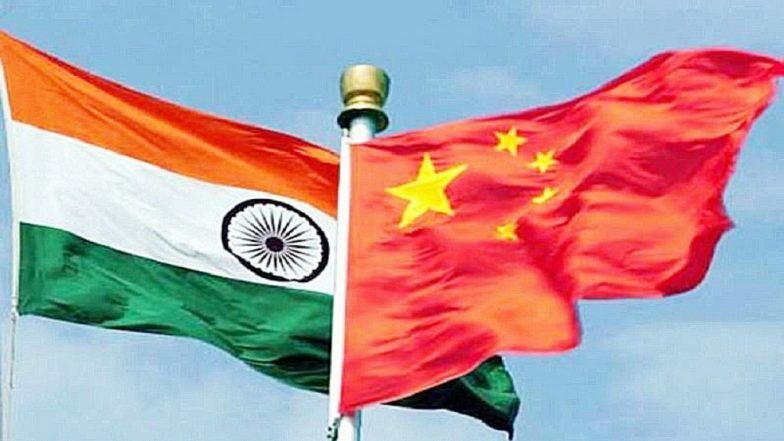 India's Ambassador to China Vikram Misri, last month, told the Global Times that "above all, connectivity initiatives must be pursued in a manner that respects the sovereignty, equality and territorial integrity of nations". CPEC Debt Repayment: Pakistan Will Pay Back China $40 Billion in Next 20 Years, Say Govt Documents. "No country can participate in an initiative that ignores its core concerns on sovereignty and territorial integrity," he replied to a question about whether India will participate in the second BRI forum. China Denies CPEC Projects Are Debt Trap for Pakistan. "To be honest, we have made no secret of our views and our position on the BRI is clear and consistent and one that we have conveyed to the authorities concerned. India shares the global aspiration to strengthen connectivity and it is an integral part of our economic and diplomatic initiatives. We ourselves are working with many countries and international institutions in our region and beyond on a range of connectivity initiatives," Misri said, reported PTI. "However, it is also our belief that connectivity initiatives must be based on universally recognised international norms, good governance and rule of law. They must emphasise social stability and environmental protection and preservation, promote skill and technology transfers and follow principles of openness, transparency and financial sustainability," the Indian envoy said.